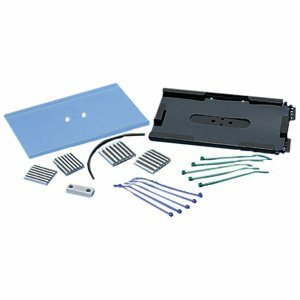 Fiber splice tray kit for up to twelve mechanical or fusion splices. Fits in Panduit FMT, FWME4, and FWME8 series enclosures. Stack up to four high using FSTHE stacking unit in rack mount enclosures or using FST6H4 stacking unit in wall mount enclosures.